I had always wanted to see Ali fight, so I took vacation time and covered what turned out to be his last fight, against Trevor Berbick in the Bahamas, at my own expense. The fight was a major disappointment, but the experience was not. It was a depressing scene for Ali's farewell to boxing. The Queen Elizabeth Sports Centre in Nassau might sound like an impressive venue, but in reality it was a small cluster of rundown softball/baseball diamonds. Ali dressed in a public restroom. Tickets were priced as high as $1,000, but were slashed to a fraction of that and sold at a local McDonald's in the days leading up to the fight. I was on my own time and my own dime, so I didn't try to crank out a deadline-beating story on the fight itself, which started late and ran long. I was merely a spectator. I gave up my press table seat to the wife of Tommy Hearns, who was on the undercard, and watched the early fights from her seat near the ring. There's a documentary on this fight out there somewhere, and if you look quickly and carefully you can see me in the audience, although I can't imagine why you'd want to bother to do that. I covered the post-fight press conference the following morning -- that's where the real story was -- and was thoroughly impressed with Ali's sense of humor and humility. This story won awards of some sort or other, but it was relatively easy to write because of Ali's performance in that hotel conference room. And somehow, being in his presence inspired me at the keyboard back at my hotel room. True confession: for the only time in my sports writing career, I asked for an autograph from someone I was covering. Ali was signing for people after the press conference, so I stuck my reporter's notebook into the mix and he obliged. It's not like I was on the Ali beat, and I figured I'd never seen him again. I did, though, when he attended a Pacers game during the 1999-2000 season and walked into the locker room afterward. Do I regret breaking this cardinal rule for journalists? I haven't decided. But the opportunity to attend the press conference was worth every penny out of my pocket. © 1981 The Journal-Gazette, Ft Wayne IN. Reprinted with permission. NASSAU, Bahamas — Finally acknowledging the landslide-like erosion of his onetime magnificent skills, Muhammad Ali laid his legend to rest Saturday morning. He did it not with sadness or misgiving, but in the way a man rids himself of a burden; a burden that can only be felt by a man of 39 years and 48 weeks who has been swapping punches with people for more than two-thirds of his life. "I've been doing this since I was 12," Ali said during the final morning-after press conference of his life, in a room on the third floor of a Bahamian hotel. "It's a joy and a relief to know that it’s over." It had ended 11 hours earlier, a mundane climax to a chaotic week of buildups and letdowns, in the primitive atmosphere of a local baseball field. In losing a 10-round unanimous decision to Trevor Berbick, Ali had backed himself into the final corner, providing inescapable evidence that his was a legend alive in memory only. Saturday morning, dressed in a black pin-striped suit, he shamelessly admitted that was so. But he also showed why all the reigning champions of his profession, no matter how hard they try to imitate him, will forever be in his shadow. Yes, Ali said, he had lost the fight, even though his closest admirers still tried to tell him he had not. 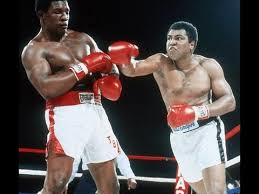 No, Ali said, he had nothing to blame but his age — not lack of preparation, as he did in his first three losses, and not the thyroid medication he said sapped his strength in the loss 14 months ago to Larry Holmes. “I have no excuses this time,”he said. “I was in shape, my weight (236 1/2) was all right. I had 10 rounds to do what I wanted to do, and I didn’t do it. Ali did not take a beating. His only blemish was a small red welt above his left eye, and he was proud of that fact — just as he was proud he was able, in his mind, to escape the fight with his image unbattered. Ali knew he had little left. His last great performance, he admitted, was against George Foreman in 1974. His last good fight, he said, was the second one with Leon Spinks, in 1978. 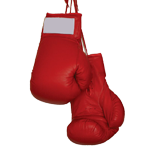 All he wanted was to summon the resources to win two more fights, over Berbick and WBC champion Mike Weaver, and retire a four-time champion. But, no matter how well he fought for a man near 40, Ali knew he also had looked bad—no matter what any of his sympathizers tried to say. Saturday, he looked the awful truth square in the eye and did not blink. When someone reminded Berbick of his postfight admission of feeling sorry for Ali, and letting up to avoid embarrassing an idol, Ali turned to Berbick. "If you could have done better but didn't, thank you," he said. When someone asked Berbick if Ali had taught him anything, Ali broke in and said, "I taught him to retire before 40." And when someone asked Ali if perhaps his slow start wasn't a decoy to fool Berbick, he said no. "I was doing my best. I was just slow." The Muhammad Ali of tomorrow will not be a shadowy figure around boxing gyms. There will be no such nonsense as a series of farewell exhibitions around the country, as someone suggested there should be. "The exhibitions are too hard," Ali said. "People want to see a show, and I can't put on a show anymore." He does not want to manage, because he thinks managing is boring. In fact, he said, he wants virtually nothing to do with his sport again, nothing to remind him of the pain he endured for 27 years. "I'm not going to be like the old-time boxers," he said. "I'm not going to be sitting around the ring, going in the gym the day before the fight. I don't want that image." He will not become a politician. Nor will he, at least not yet, become a professional huckster, even though an oil company offered him $3 million for three years to hire out as a spokesman, the way Bob Hope speaks for Texaco. He wants, of course, to be a religious leader, spreading the Islamic faith. He wants to meet with other religious figures, ranging from Billy Graham to the Rev. Ike to the Rev. Moon for discussions of mutual beliefs and promotion of faith. He wants to meet with civil rights leaders; to meet again with Soviet Premier Brezhnev; to go to Afghanistan, and to China; to visit some of the 130 American colleges which he said have invited him to speak. His mission, he said, is to remove racial images.from the church — the white Jesus, the white Mary and the white angels — because' he believes it brainwashes people. "There should be no race," he said. "The race in power makes the images to be like themselves. Miss America is white, Tarzan is white, Superman is white, Batman is white, Wonder Woman is white. It messes everybody's mind up." Just as so many have tried to copy Ali's style in the ring — such as Greg Page, an undefeated heavyweight from Ali's hometown of Louisville, who won here Friday night —oth­ers will follow his religious ways. Berbick is one. Saturday morning, saying he couldn't hold it in any longer, he slipped into a sermon. But it sounded bad, particularly sitting next to All. "I'm a child of the universe!” Berbick proclaimed at one point. "Hey, that's heavy," Ali whispered to him, with a touch of sarcasm. But Ali is serious. Boxing, he said, was a stepping stone, a way to make enough money and influence enough people so they will listen when he talks. Having done that long ago, he feels no remorse over losing a boxing match to a man tamed Trevor Berbick. "My real victory is with God." he said. 'It's not whether I please men, or sportswriters, or boxing commissions. My real happiness is in pleasing God. “I'm happy. I had a good life in boxing. One thing that isn't bad about losing is that people feel inferior to you if you're too good. People can see I'm human now. I have more fans now. I showed I'm human. I lost. We're all going to have hate in our lives, we're all going to have success, and we're all going to have failure. "We all have bad days and we all have good days. I lost to Frazier, I wasn't grieving. I lost to Norton, I wasn't grieving. I lost to Spinks, I wasn't grieving. I lost to Holmes, I wasn't grieving. I'm not grieving now. After a few days it's old news." He feels that way about his retirement, too. Ali has said he would quit before, but never with the conviction — or the age — he says it now. Sure, he jokes about coming back. Once, be turned to Berbick and said, "I'll get you next time." Spotting heavyweight Renaldo Snipes in the back of the room, he shouted, "I want Snipes!" And later he warned, "I don’t know how I'll feel next month." But next month, Ali will feel the same as he does now, only a little older, and a little heavier. He knows it. And. at long last, he admits it. “I shall return,” he promised.